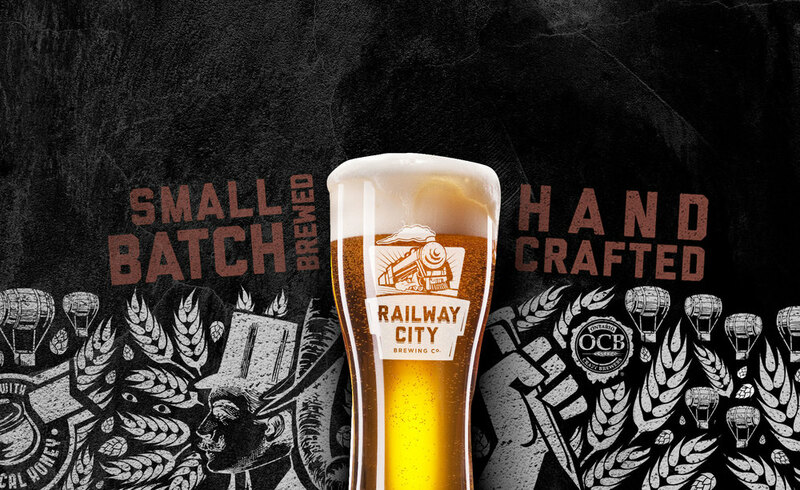 Railway City Brewing creates a series of locally handcrafted beers in St. Thomas, ON. No corn syrup here! We proudly feature malted barley (grain), hops, yeast and water as our primary ingredients. Each beer is locally brewed, all natural, and crafted in small batches, using only the finest ingredients with no artificial adjuncts or preservatives. Our brewery operation features a 20-hectoliter system comprised of a kettle, mash tun, hot liquor tank, and a number of 10, 20 and 40hl fermenters and conditioning tanks. The railway has been a part of St. Thomas since the completion of the London and Port Stanley Railway in 1856. More than 26 railways passed through the city. St. Thomas was the fastest shortcut between Chicago and New York: two major railway cities. This provided the foundation for the birth of St. Thomas due to the provision of employment and, subsequently, the income to sustain the community. St. Thomas then became known as “Railway City”. The city boasts a significant collection of historic Railroad Buildings including the 1873 Canada Southern Railway Station and the 1913 Michigan Central Railroad repair shops which features The Elgin County Railway Museum. Railway City Brewing Co.'s Dead Elephant Ale is our tribute to Jumbo the Elephant, who was tragically killed in a railroad accident in the late 1800’s in St.Thomas. Jumbo is featured throughout St.Thomas from the life size statue at the city’s west entrance, to the large wall murals adorning our downtown buildings. Jumbo was the prize attraction of the P.T. Barnum Circus that performed throughout North America. During the early days, many circuses traveled by train, and thus many traveled to St.Thomas as part of their route. Many stories have been told about how Jumbo saved a small elephant from being hit by the oncoming unscheduled train, however, most accurate stories reflect a simple accident. P.T. Barnum was a master marketer and many refer to the term of "jumbo sized" items relating back to Jumbo the Elephant. In fact, the name Jumbo was given to him by his London zookeepers which was a variation of one of two Swahili words: jambo (which means “hello”) or jumbe (which means “chief”). Therefore, Jumbo’s name established the common word “jumbo” as meaning large in size. We hope that when you raise your glass of Dead Elephant Ale, you will enjoy everything that Jumbo was and became. Life should be celebrated in every way and if possible "Live Life Large" and enjoy it Jumbo sized!